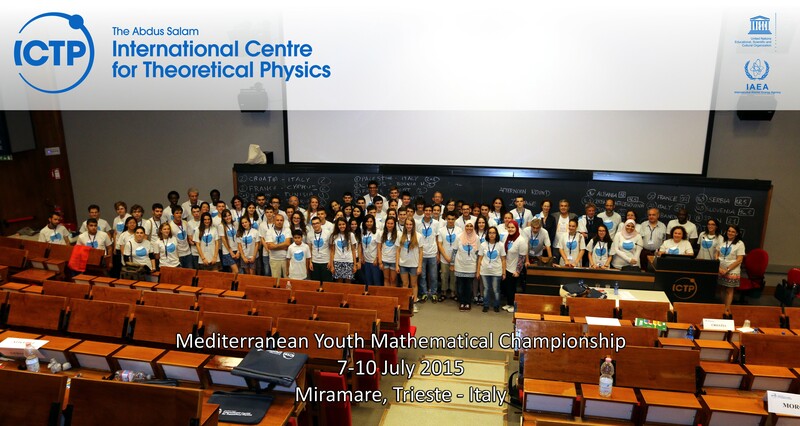 The Abdus Salam International Centre for Theoretical Physics (ICTP) and the Istituto Nazionale di Alta Matematica (INDAM) with the support of the Italian Ministry of Education are organizing a new edition of the Mediterranean Youth Mathematical Championship (MYMC), to take place in Trieste, Italy, July 7 to 10, 2015. The aim of the Mediterranean Youth Mathematical Championship (MYMC) is to encourage Mediterranean youth, both male and female, to develop an interest in Mathematics. The championship involves teams (one from every Mediterranean country), not individuals.